Does Fiction have the power to heal the soul? A new novel about one of the most horrific events of the late twentieth century raises the question. 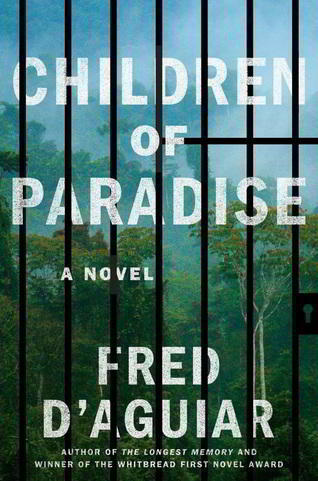 “Children of Paradise” is an imagined account of an actual mass suicide at a commune in the jungle of Guyana in 1978. A writing professor at Virginia Tech is using the tools of fiction to retell the story in the voices of its victims. A warning....the events described are disturbing. Writer Fred D’Aguiar was only in his late teens when the world heard the news of a mass suicide by people in thrall of charismatic leader. Reverend Jim Jones had promised his followers salvation in the next life in exchange for the ultimate sacrifice in this one. “Yes I was in London when it happened in 78 and I was shocked and felt a special link when I heard it was Guyana," said D'Aguiiar. The only Caribbean country located on the south American continent, Guyana was to be an Eden in the jungle for followers of Jim Jones. In writing Children of Paradise D’Aguiar was interested in how the commune, ostensibly dedicated to civil rights and service became more like a work camp run by a paranoid con man who ultimately led his flock to mass suicide and murder. The transition from blind trust to tragedy is where D’Aguiar sets his story about Jonestown. It is one that most everyone already knows the ending to. But in the way only fiction, with its omniscient narrator can, the reader gets inside the heads of every character. From the increasingly paranoid commune leader, to the bullying guards ---frightened cult members and their children and a captive gorilla named Adam who sits in his cage at the center of the commune -- as if in silent judgment of what’s going on around him. The gorilla in the commune demonstrates the power of magical realism as a story telling tool in examining facts too terrible to comprehend. 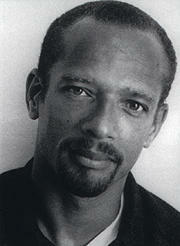 “And that fiction reclaim lost spaces especially tragic and traumatic spaces. The immersion of fiction without the catastrophe of the event is what I think fiction is able to do really, really well. It will tell that story. Your nervous system will be on tenterhooks but at the end of it you come out knowledgeable, rather than being destroyed."